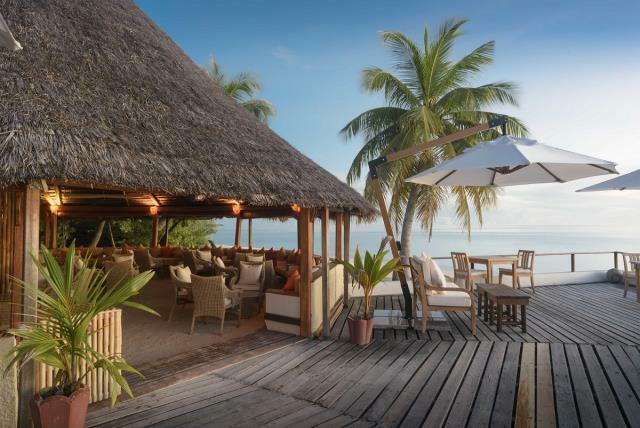 Makunudu is a wonderful unspoilt island in North Male Atoll and one of only a handful of resorts these days with less than 50 rooms. 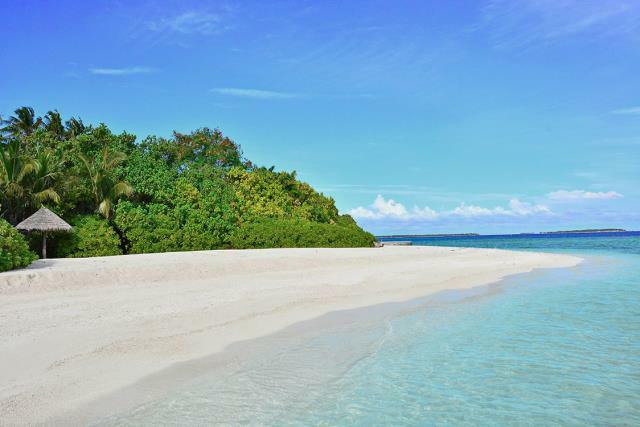 It is the perfect place if you are after peace and tranquility mixed in with some low key watersports such as snorkelling and catamaran sailing. 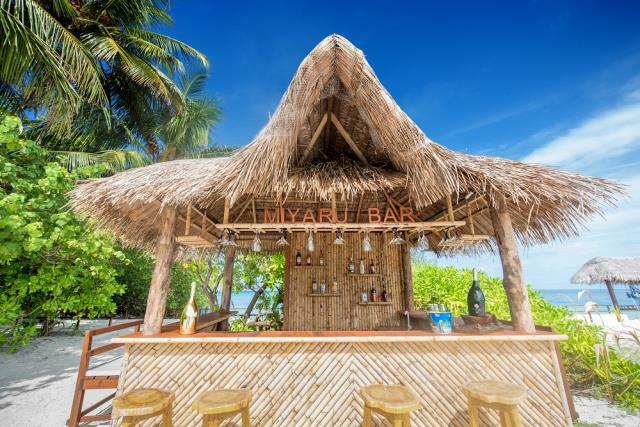 This is a lovely one-bar, one-restaurant hideaway that is the perfect antidote to today's rat race at an excellent price relative to other alternatives. Book at least 90 days in advance and receive a 25% Discount, based on Full Board. Not Combinable. 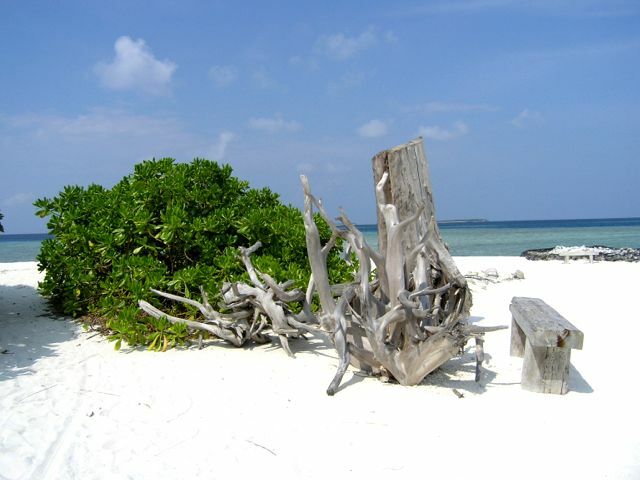 Book 45-89 days in advance and receive a 15% Discount, based on Full Board. Not Combinable. 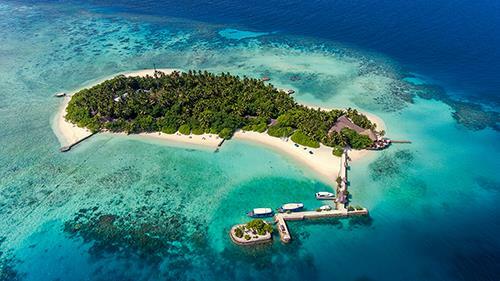 Guests celebrating a Wedding Anniversary or Birthday on resort will receive complimentary wine and cake on the special date, one complimentary turtle point snorkelling experience and one complimentary 30-minute couples' massage. Not Combinable. Valid Marriage Certificate will be required for Anniversary guests. 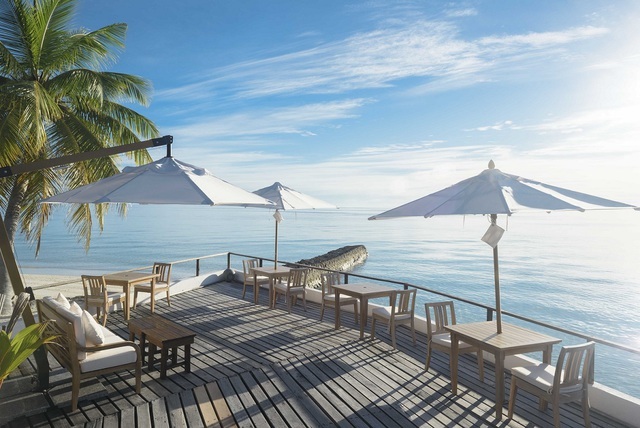 Repeat guests will receive a wine and fruit basket on arrival, one complimentary fishing trip and one complimentary 30-minute couples' massage. and one complimentary 30-minute couples' massage. Not Combinable. 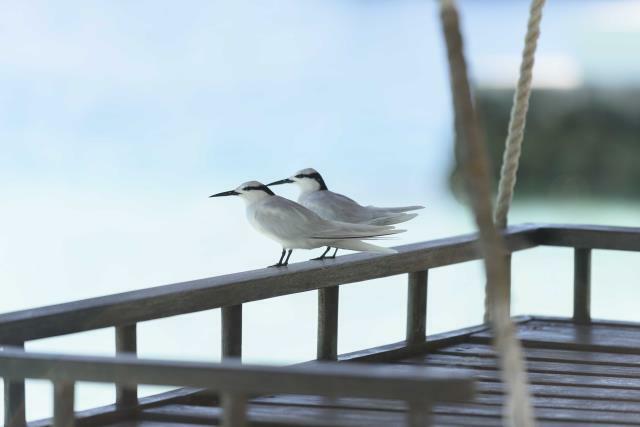 Honeymooners receive a 40% Discount off the room rate for the Bride, based on Full Board. Combinable with Honeymoon Benefits only. Valid within 6 months of wedding. A valid Marriage Certificate must be produced at check-in. 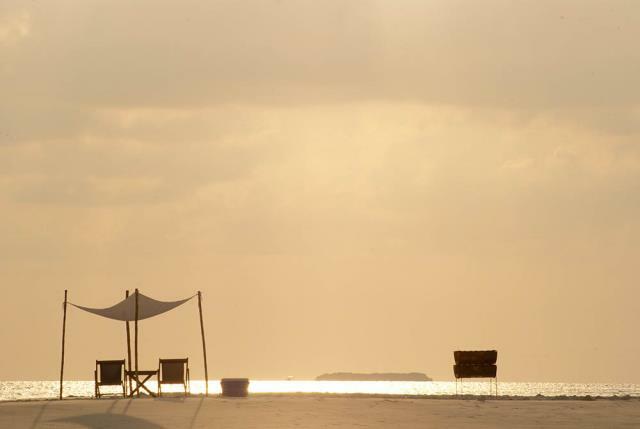 Honeymooners receive a complimentary wine and fruit basket on arrival and one complimentary 30-minute couples' massage. Combinable with Honeymoon Offer only. Valid within 6 months of wedding. A valid Marriage Certificate must be produced at check-in. This is the type of traditional little resort that is sadly disappearing from the skyline as the Maldives drives towards building and refurbushing resorts to cater for the upper end of the market with spas, jacuzzis, water villas, etc, all at ever increasing prices. 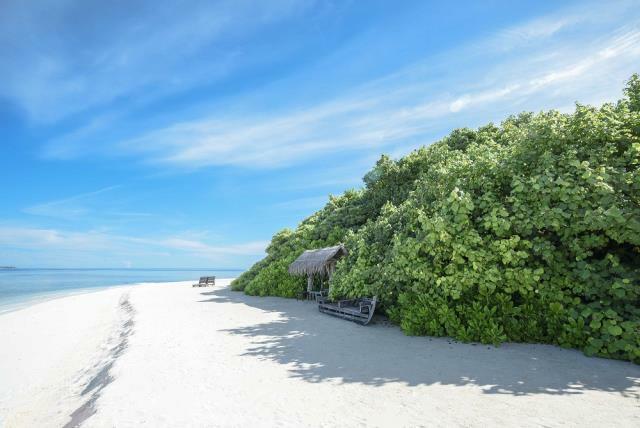 Located in North Male Atoll Makunudu has a mere 36 Deluxe Bungalows spread around the perimeter of the island under lush vegetation offering privacy and a sense of calm. 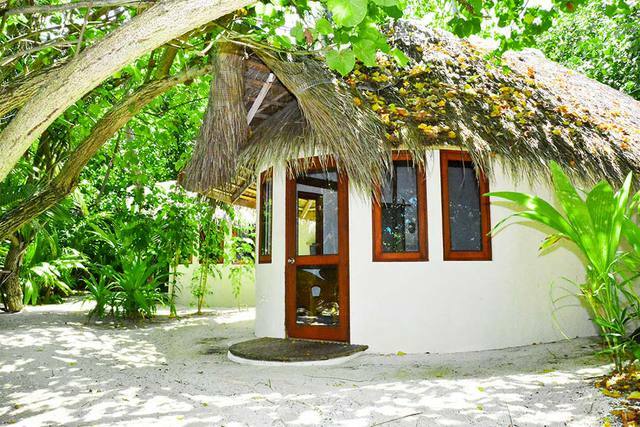 The room interiors are typically Maldivian, neat and clean with open-air bathrooms and bow windows that open directly onto the beach under a small canopy of vegetation. Although you are never aware of it there is a high staff to guest ratio and the service and attention to detail are superb. 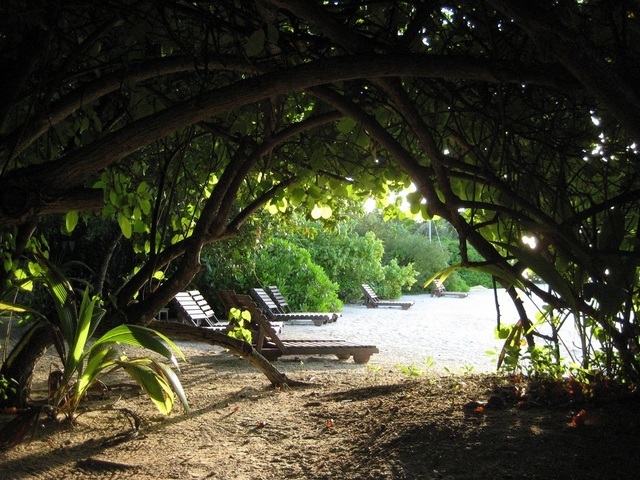 Makunudu is part of Sunland Hotels who do a fine job of maintaining this delightful little hideaway. 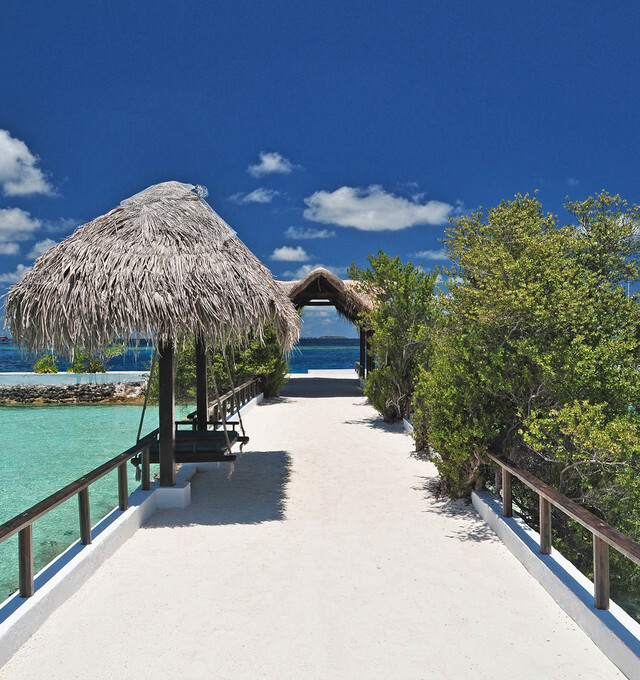 With good watersports (including catamaran sailing), nice snorkelling, a dive centre, good food and a small spa, you are sure to leave Makunudu feeling a different person. 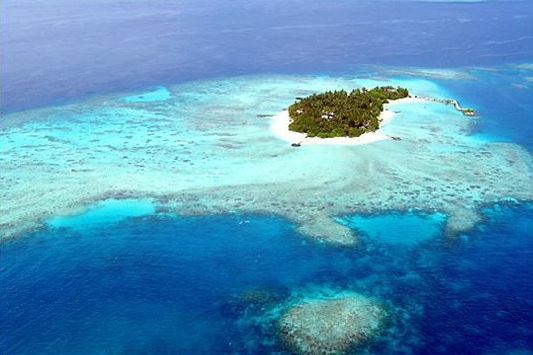 One of our favourite islands in the Maldives.